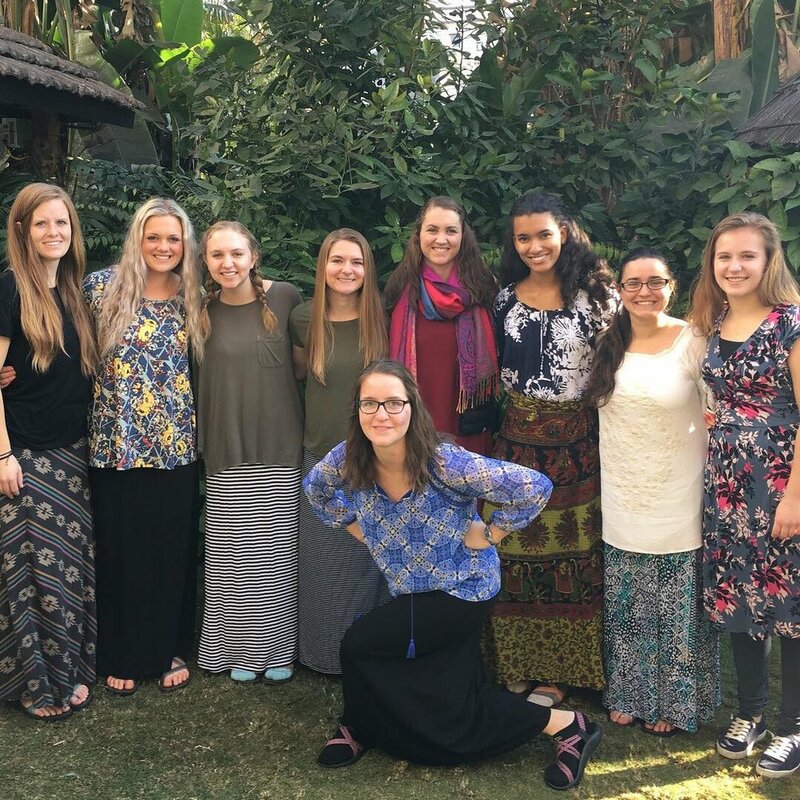 Below is an update from Emily, one of the Nepal trip members. She helps with our Nepal Child Sponsorship Program and has been able to spend time with the children during the trip to Nepal. The letter below was sent to our current child sponsors and a couple pictures of the team with the children. Be praying for the team as they travel home in the coming days! Click here to find out more about our partnership in Nepal and the Child Sponsorship Program. I cannot stop thinking about the amazing things God is doing here. The churches are doing amazing, the sponsorship is helping entire villages, and God seems to be bringing people to faith at a warp speed! I’ve been able to hangout with some sponsor kids and the most valuable thing I’ve taken from it is that they are so thankful. Some of these kids have lost parents and are being raised by grandparents who won’t be alive much longer. Because of YOU they don’t have to be scared that they will have to wonder on the streets. God is taking care of their needs because of you and it makes me cry to watch it happen here. I met a new family at the church here last week (2 girls and 1 boy) whose mom committed suicide 2 months ago and whose Dad went to Iraq and is not returning. It seems like so many of our sponsor kids have hard stories like this, but God has a plan and I know that he has definitely given us resources in America to help the poor and needy. Thank YOU so much for using your resources to help children not only survive, but thrive and be able to use their God given abilities! He is using it in more ways than you can believe. We have quite a few more kids that we could help so if you know a family who might be interested in sponsoring would you let me know? Thank you doesn’t really seem to do justice, but thank you. I look forward to sharing pictures soon. Join us Monday: February 8th from 7:00-8:30pm @ the church (in the basement) as the Nepal Team shares their stories and experiences! We have been so blessed on this trip! We had an amazing time in Gorkha. The school was so welcoming and we all taught several different grades of students. We developed relationships and many of us were asked to teach full time by the school! They were so grateful for us coming. We had Young Life club and we were able to invite several students to club. So great to see Hindu students hear Amber’s story and to be able to share the Gospel to them. We had one young man that Eric connected with that is very interested in becoming a christian. We were able to go to Binay church in Gorhka. So many amazing stories of God's faithfulness to the believers there. We met the first believer in the area and prayed with him. We met and prayed with several pastors and leaders from the area. Amazing everyone we saw in the whole valley would say Jamashe (the Christian greeting) to us. We heard stories of healing and powerful stories of sacrifice and dedication in their lives. Such a blessing to worship with them and help update the church. Today we visited the slums where Paul and several others are tutoring students who are not able to go to school. We played with the children in the slums and then got to have tea with Paul, Shanti, Hom and Manu, such a great time! We also spent time with Chitra and saw more pictures and stories from the Chepang Village. There is so much to be done here in Nepal. So many opportunities to serve and love people. I don’t think anyone on our team wants to go home. We have been so encouraged and blessed. We have a closing time with the elders tomorrow and some of the Binay youth. We will see a missionary friend of mine in Kathmandu on Wednesday. We would love prayer for our final days and for travel mercies as we head home. We are all pretty tired and some of us are starting to get a little sick. I wish I could share more of what God is doing here - but I hope this update give you a taste of it. Things have been busy and internet has been very limited between shortage of electricity and shortage of gas to run the generators.